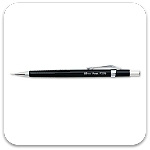 Chrome metal bodied mechanical pencil is durable and features a plastic textured finger grip for comfort. 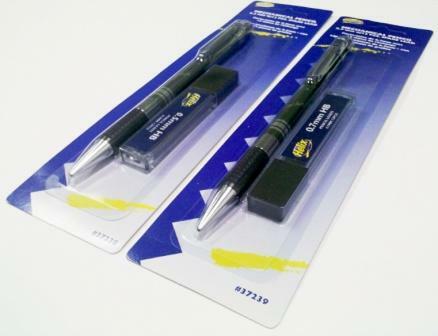 Push button action pencil holds leads, and comes with a 12 piece tube of replacement HB leads. Features a refillable eraser under the chrome cap and a chrome pocket clip.